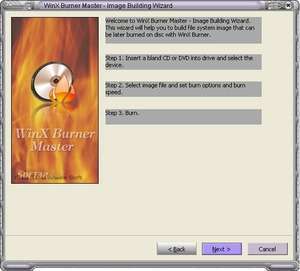 WinX Burner Master is designed as an advanced and extremely powerful CD and DVD burning tool. It even removes the hassle of making autoruns, creating and printing your own labels and booklets. Burn any data, copy any disc, make backups, create astonishing photo albums, make ISO images and Video DVDs with this very easy and quickly to handle professional-grade! WinX Burner Master 3.2.30 is a shareware program and can be used as a demo to try the software until the free trial period has ended. A full version of the program is available after the trial period ends. For security reasons, you should also check out the WinX Burner Master download at LO4D.com which includes virus and malware tests. Additional screenshots of this application download may be available, too.